Scalpsync Conditioner is rated 5.0 out of 5 by 1. 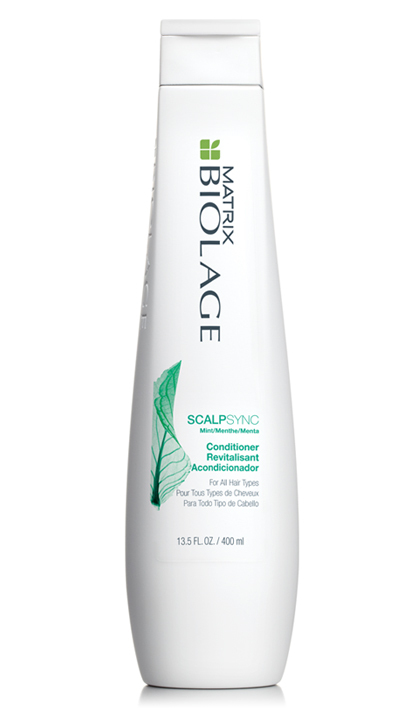 Share https://www.matrix.com/biolage/core/scalpsync/scalpsync-conditioner Scalpsync Conditionerhttps://www.matrix.com/~/media/images/haircare/biolage/core/scalpsync/biolage_scalpsync_conditioner_b-ss-c_na.jpg Weightlessly soothes and nourishes to condition hair. Rated 5 out of 5 by Button from Itchy scalp gone I was having terrible problems with my scalp. It was itchy, excessively flaky and sometimes bleeding. It was soothed after the first use and cleared up within two weeks of alternate day use. Absolutely amazing.